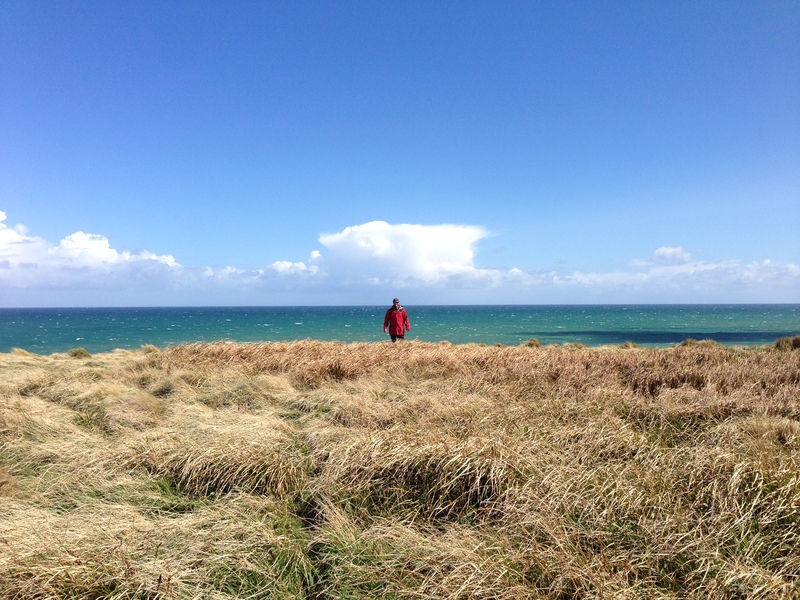 Have you ever visited the Catlins? The locals say that it is mainly overseas tourists that come to visit and very rarely do they get any New Zealanders coming to stay! 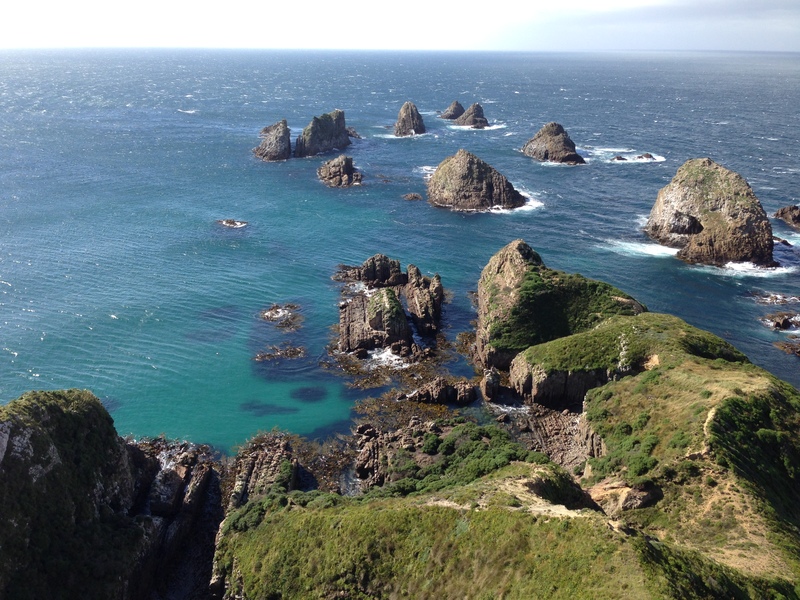 It is a spectacular spot located on the South Eastern corner of the South Island. It was somewhere I had heard lots about and had wanted to visit for ages, so we booked some flights to Invercargill and headed away for a weekend to explore this remote corner of our country. We flew down on a Friday night, picked up a rental car and headed out of town. Pick up something to eat before you head out of Invercargill, or stop at the supermarket along the way, as there aren’t too many options when you arrive late at night. 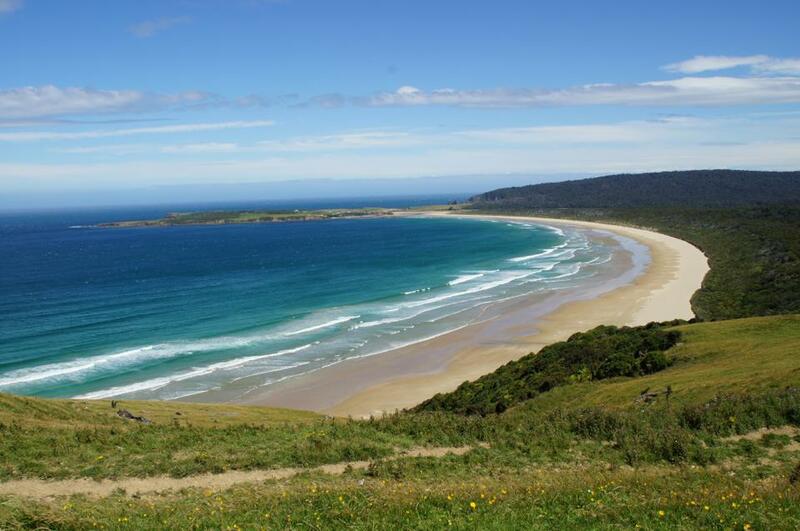 Our destination – Curio Bay was just over an hour’s drive from Invercargill airport. The Curio Bay Salthouse Motel is a great spot to base yourself. Located right on the beach, and with just three rooms, this is a gorgeous modern boutique B&B with lovely hosts. We fell asleep to the sound of the waves crashing on the beach and woke up to see dolphins surfing in those waves, just metres from your bed. We had a feeling that this place was something pretty special! We had a lot of ground to cover to see everything, so we got up early and hit the road, struggling to find anywhere that was open to get a cup of coffee. An hours drive north you can get to Nugget Point Lighthouse. This is a spectacular outcrop of rocks and the views are amazing. We parked the car and headed along the track to the lighthouse perched high above the ocean and waves pounding on the rocks far below. We could see seals playing amongst the seaweed in the clear green water. The 40 minute return trip is well worth it for the amazing view. Heading back South again we called in to see a Railway tunnel. No longer used, this tunnel was completed in 1895. 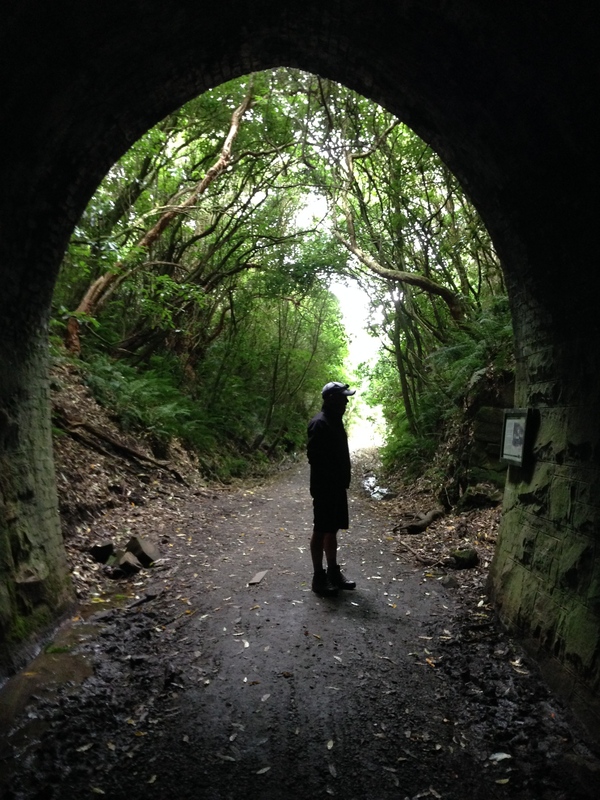 It formed part of the Catlins railway extending from Balclutha to Tahakopa. It is a short walk from the car park and is quite spooky! Take your torch to explore inside. On a recommendation from a friend we headed off the beaten track again to. Purakaunui Bay for a picnic lunch on the beach – golden sand, high cliffs, interesting rocks and even a lazy sea lion sunbathing on the beach. 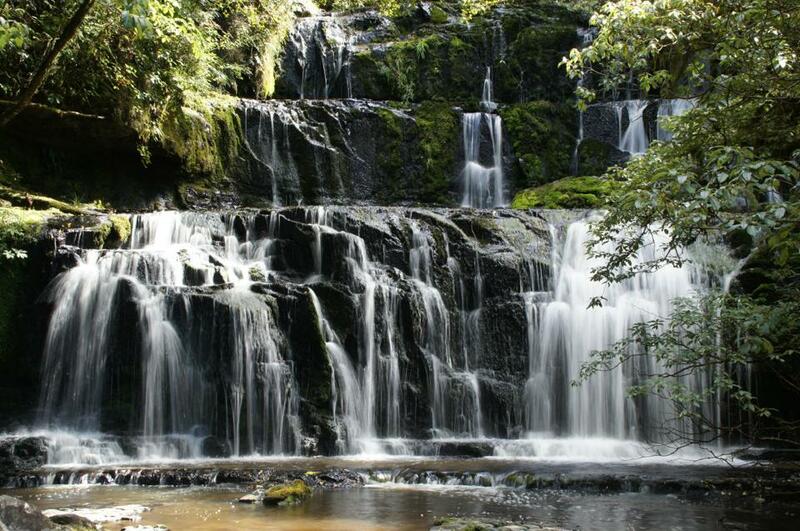 Then just up the road are the Purakaunui Falls – This picture perfect three tiered waterfall has appeared in many New Zealand coffee table picture books, and even on a postage stamp! And rightly so, it really is a gorgeous spot. Next stop was the Cathedral Caves. 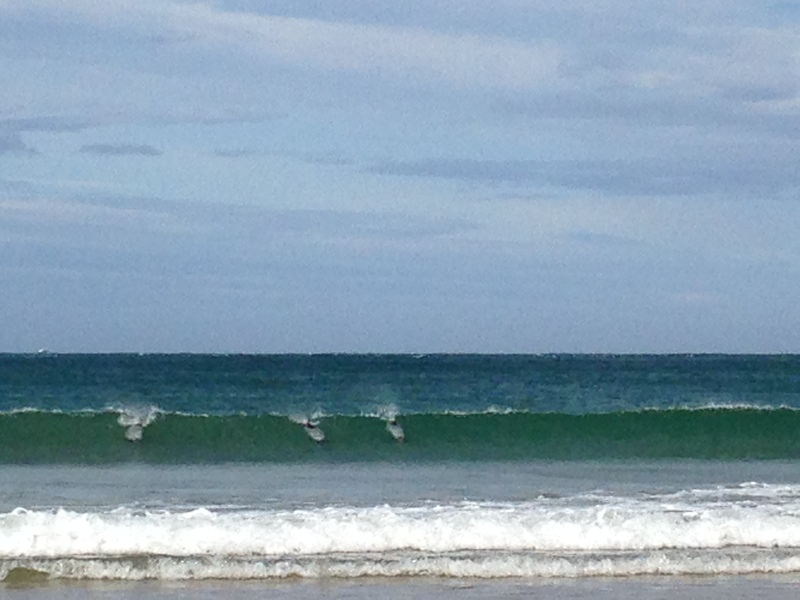 Time your visit appropriately as they are only accessible two hours either side of low tide. 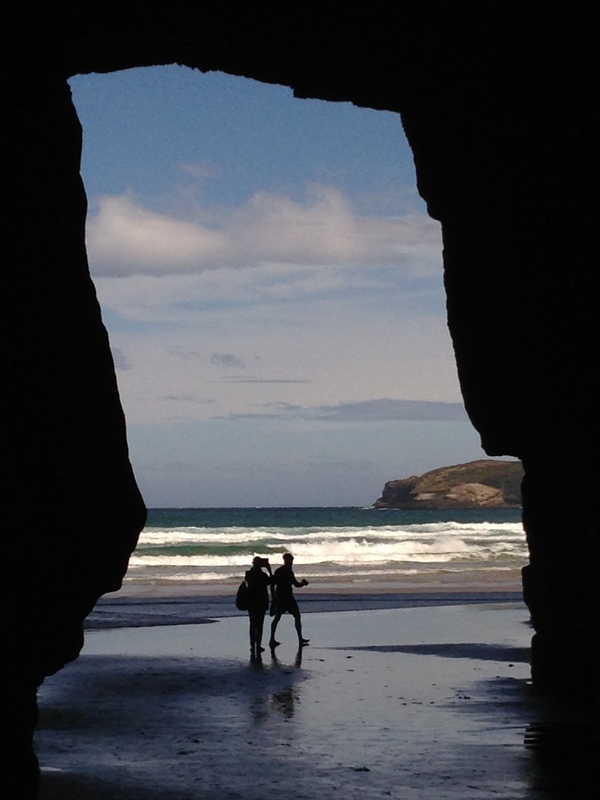 Allow an hour to get from the car park, down the track and along the beach to the caves. 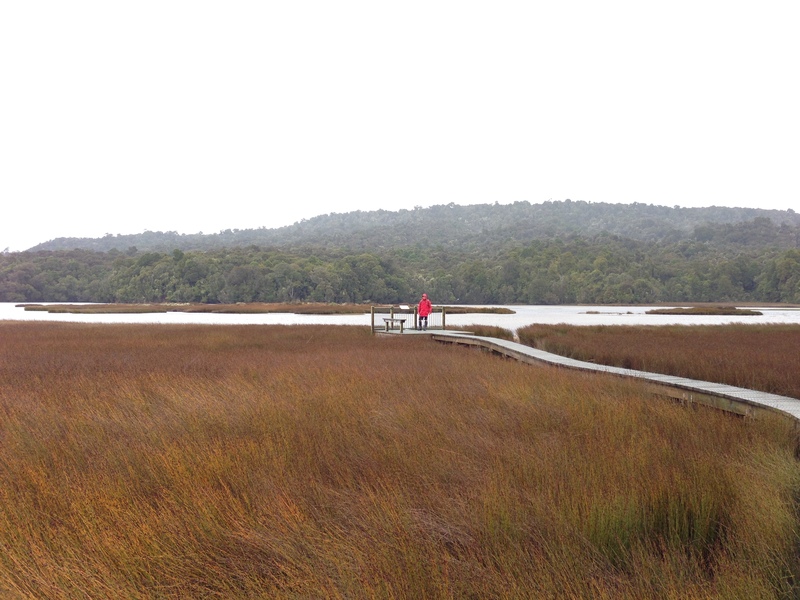 The car park and track is located on private land, and there is a $5.00 per adult entrance fee. The huge caves are on the most spectacular golden sand beach and are amongst the largest sea caves in the world with the ceiling rising over 30 metres above. The acoustics inside are incredible! Another low tide activity is the Petrified Forest at Curio Bay. These fossils are over 180 million years old and you can spend hours exploring the surrounding rock pools, and waiting to see the large yellow eyed penguins return from the sea to their nests in the afternoon. 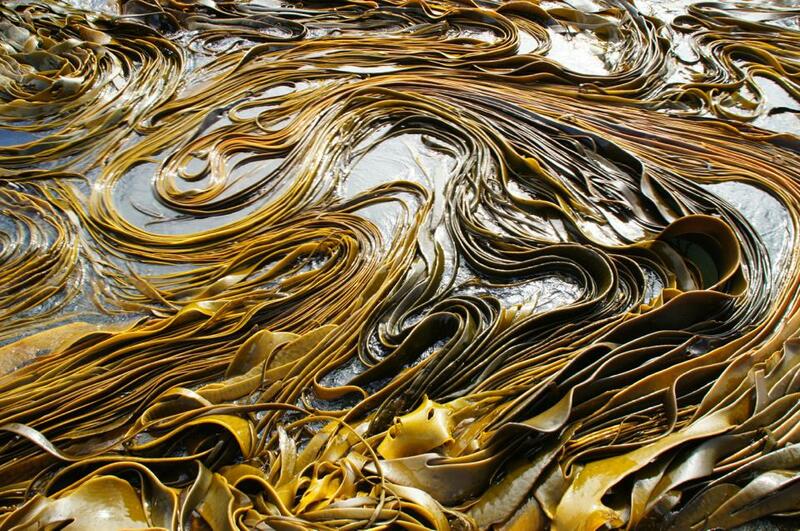 The nearby trench full of kelp was mesmerising to watch as it swirled and writhed as the swell rolled in beneath it. We finished our first day as it started, watching the dolphins playing in the surf right on the beach, followed by an art exhibition, dinner and music at the Niagra Falls Cafe, and we once again fell asleep with the sound of the waves crashing on the beach. The following morning we were up early again and found an excellent cup of coffee at the Lost Gypsy caravan in Papatowai. 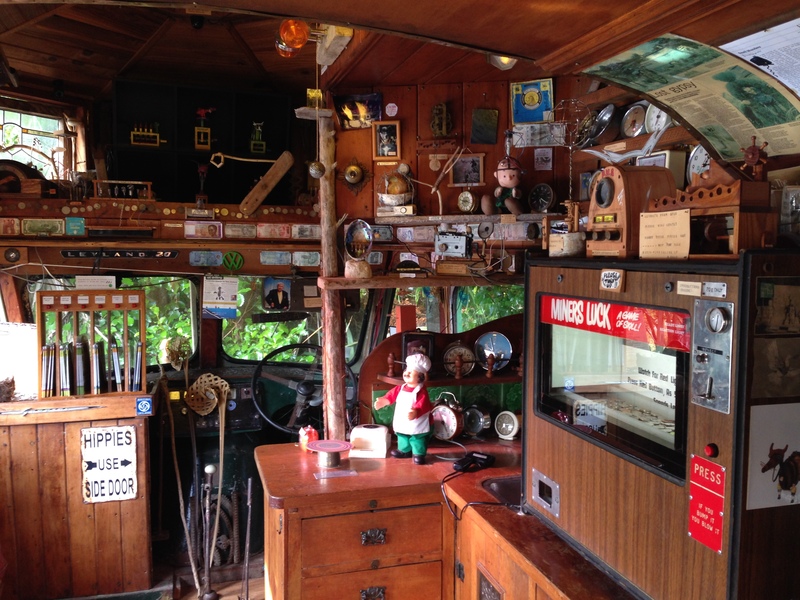 Take some time to explore the van and garden and see the fascinating curious inventions all hand made by artist Blair Sommerville. Our next stop was to check out the incredible view on Florence Hill – looking down on to Tautuku Bay. 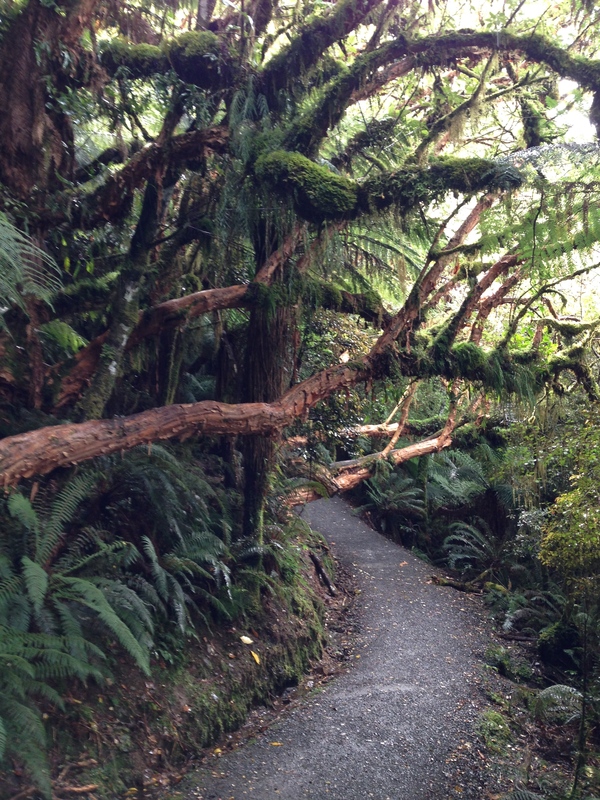 At the bottom of this hill you can take a short walk through the forest to Lake Wilkie and out to the Tautuku Estuary along a boardwalk. Across the road is a track to the McLean falls. We really are so lucky to have such wonderful tracks allowing us to get to these places – thanks DOC! 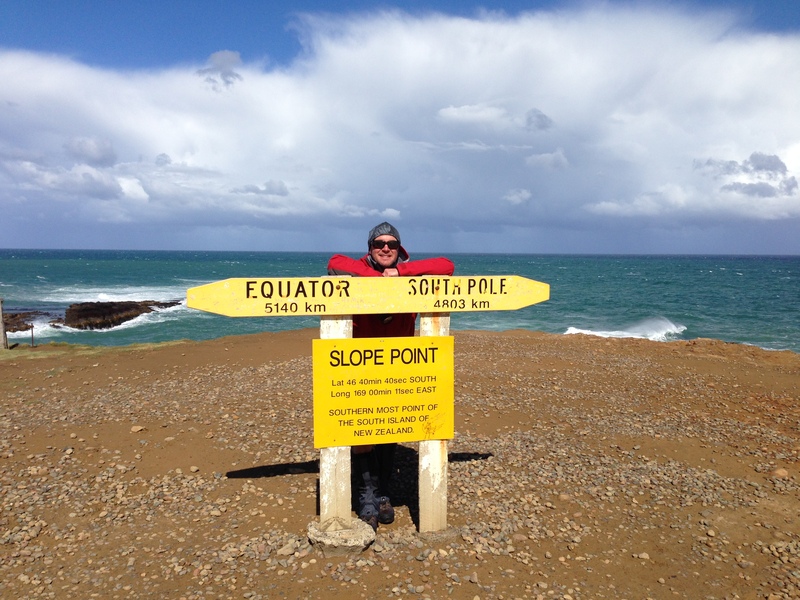 With a plane to catch, we started back towards Invercargill, stopping first at Slope Point – the Southern-most tip of the South Island. 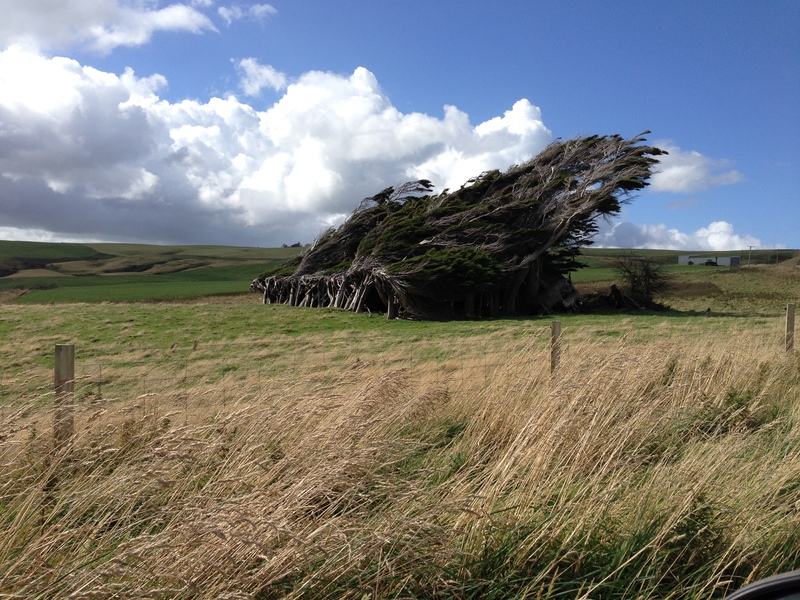 The wind here is pretty intense and the shape of the trees gives you a good indication of the prevailing breeze! 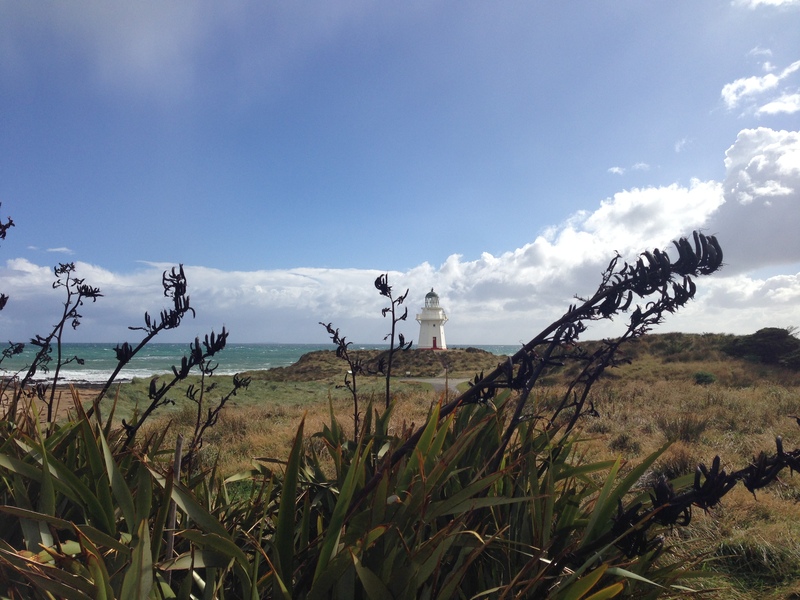 Our final visit was to the Waipapa Point Lighthouse. As a sailor I have a bit of an obsession with lighthouses and this one did not disappoint. Its prominent position is surrounded by flax bushes and overlooking a rocky shoreline dotted with sea lions. In 1881 Waipapa point was the scene of New Zealand’s worst maritime disaster with the loss of over 131 lives when the vessel Tararua struck the offshore reef. The lighthouse was built in 1884. As we headed back to the airport we reflected on how much we had seen in just a weekend. This is a stunning part of our country just waiting for you to come and discover its hidden treasures! 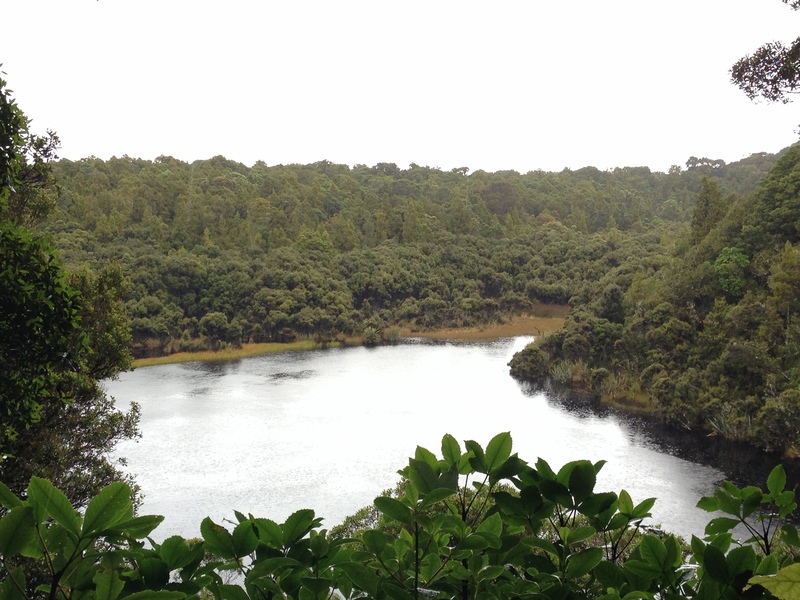 Take a jacket – don’t let the rain stop you from exploring! Check out the GPS MyCity App.